This beautiful villa is located in Cas Abou, with the beatiful beach of Cas Abou around the corner! Cas Abou is an old plantation on the south-west side of the island. The villa is situated in a villa neighbourhood, which is guarded. It is very quiet and safe! The beach at Cas Abou, Bon Bini Beach is around the corner and is one of the most beautiful beaches of Curaçao! Cas Abou Beach / Bon Bini Beach has plenty of shade, there is a diving school and a beach bar. It is 5 minutes drive from Villa Seaview. To the airport and the city is about 20 minutes drive. In the vicinity are nice and good restaurants and several supermarkets. 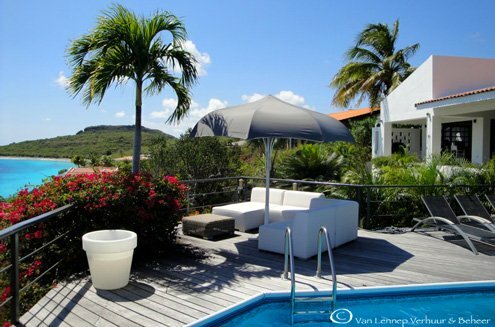 Seaview Villa Curaçao has 3 bedrooms and 2 bathrooms. 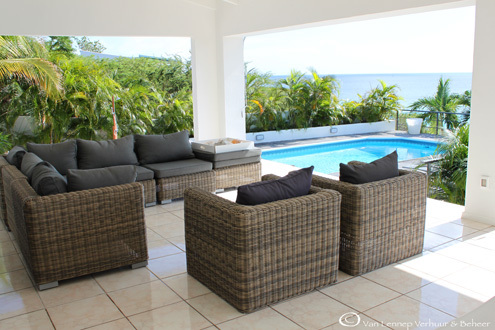 The villa is suitable for 6 persons and fully equipped. There is space for a child crib and small children can sleep on the couch in the master bedroom. The couch can be made in to a bed. The large terrace is a cozy dining area and a has spacious lounge area. By the pool there are comfortable loungers and a seating area. From the terrace of the house and the pool deck you have a great view! You look out over the Caribbean Sea, with a beautiful sunset! Around the terrace and the pool is no railing, be careful with small children! The kitchen has just been renovated and fully equipped. In the kitchen is also a dining area. The grounds of the villa (1000m2) are surrounded by a wal and there are two on-site parking. Ceiling fans in the living room and on the terrace. € 240 - per night. Start cleaning, 2 times weekly cleaning and final cleaning. 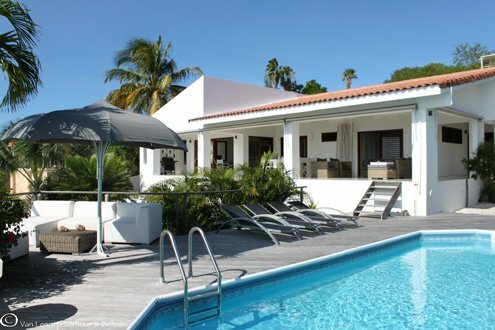 The deposit for Villa Seaview Curaçao € 500 -. For a stay up to 2 weeks. 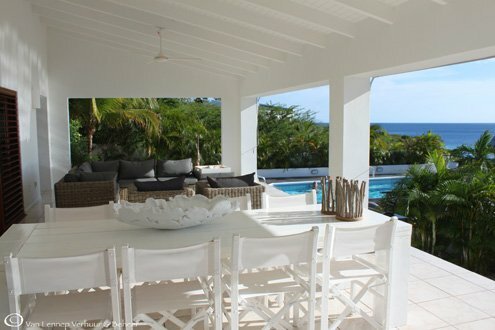 The minimum stay at Villa Seaview is 5 nights . Arrival time is from 14.00. Departure time is 11:00 *. Email us for more information or questions! With pleasure we will answer your questions!